Marc Marquez claimed his fourth MotoGP title in five years after finishing third at the season-ending Valencia race in his native Spain. The 24-year-old, who needed to finish in the top 11 to beat Italy's Andrea Dovizioso to the crown, is the youngest driver to win four titles in the class. Dovizioso was frustratingly held up by team-mate Jorge Lorenzo before both crashed out in separate incidents. Spaniard Dani Pedrosa won the race, with France's Johann Zarco in second. Reigning champion Marquez only needed to finish 11th to guarantee a sixth world championship, following his victories in 125 and Moto2, while Dovizioso knew he needed to claim a seventh win of the season and hope for a stroke of luck in terms of Marquez’s result. 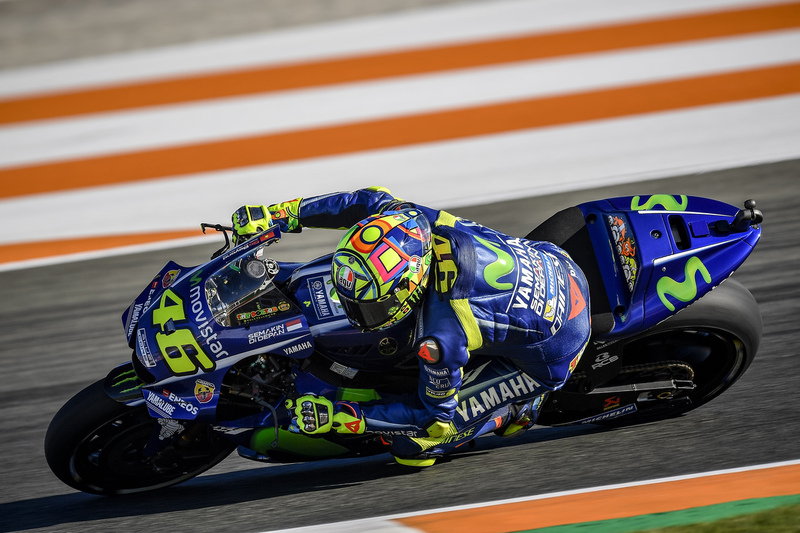 Those hopes were immediately dented from qualifying, with Marquez on pole and Dovizioso down in ninth, but by the end of the first lap the Italian had worked his way up to sixth and was soon enough past the Suzuki of Andrea Iannone for fifth. However, he was being held up by his own Ducati teammate, Jorge Lorenzo, and even though Marquez allowed the Tech3 Yamaha of Johan Zarco to pass for the lead, he was still well in control of his own fate. For once, Marquez looked as though he was taking the smart approach, but that all changed seven laps from home. Marquez re-passed Zarco for the lead at the final turn, only to run deep into the first corner and lose the front-end. With his championship hopes rapidly disappearing, Marquez managed to perform his now-trademark recovery, using his knee to lift his Honda back up mid-slide and save himself from a race-ending crash. Nevertheless, Marquez had dropped to fifth, and suddenly Lorenzo’s decision to hold up Dovizioso looked a costly one. However, the following lap saw chaos break out for the Italian manufacturer, as both Ducatis crashed out of the race in the space of four corners wit Lorenzi tucking the front at Turn Five before Dovizioso ran deep at Turn Nine and crashed in the gravel trap. The carnage allowed Zarco to resume the lead, only for Marquez’s Honda teammate Dani Pedrosa to pass the Frenchman at the start of the final lap and hold on for his second victory of the season on home soil, while Dovizioso recovered to the pit lane where he was given a rousing reception from the Ducati team that had not been expected to compete for the title this year. The day, and the year belonged to Marquez though, and after claiming his fourth MotoGP title in the space of five years, the 24-year-old becomes the eighth rider to win the premier class four times and already has half the total number of championships to his name as record eight-time winner Giacomo Agostini.